Brining was originally used for food preservation in the pre-refrigeration era. Brining allows the turkey to absorb extra moisture, which helps it stay more juicy both during and after cooking. 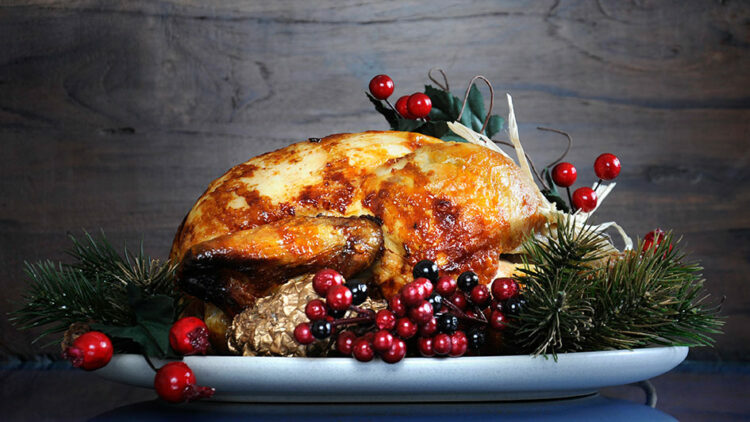 Since the turkey absorbs brine flavours along with the water, it also gets nicely seasoned from the inside out. Earl grey tea, with its hints of citrus give the turkey an even more festive flavour. Place all the ingredients, apart from the turkey, in a large saucepan. Heat until the sugar and salt have dissolved. Place the turkey whole into the brine for no longer than 3 hours. Roast – it’ll taste amazing! Please note: quantities might have to be increased depending on the size of the turkey or size of the container holding it.